Aspire K3 Tank is used for K3 Kit. K3 tank comes with 1.8ohm kanthal with organic cotton coil, which brings mouth to lung vaping experience to you. 2ml e-juice capacity. 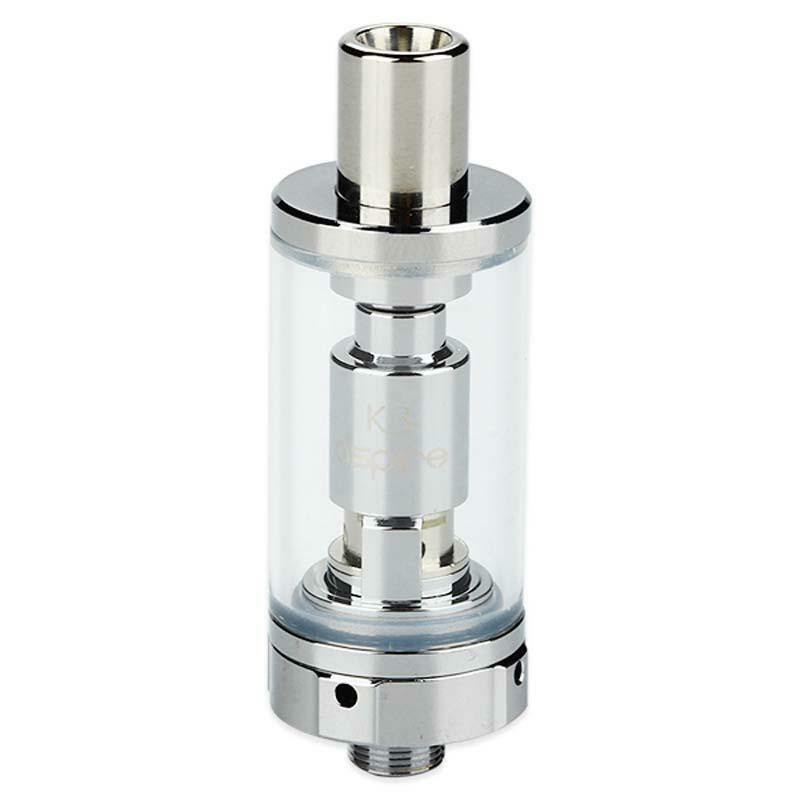 Aspire K3 BVC Tank, which has 2ml liquid capacity, adopts high quality pyrex glass th ensure long service time. In addition, it is suitable for mouth to lung vaping. Please don't hesitate, just get it. • Three-month warranty for Aspire K3 BVC Tank. Perfect. Genunie Aspire. Fast shipping.Fast Delivery to Ireland. Product looks stellar. Absolutely recommended! Aspire K3 BVC Tank is a 2ml capacity tank. With Atomizer BVC Replacement Coils Pack Of 5 1.8ohm.